In the first post, we look at how to change a vacuum drive belt. 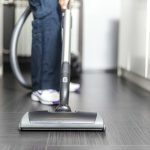 If your vacuum cleaner is leaving dirt behind, yet there’s no obstruction in the hose or blocking the agitator, then you may be left scratching your head as to what the fault is. Chances are, the dirt is being left behind due to a worn or snapped drive belt. Fixing the drive belt is an inexpensive DIY job, which you’ll usually be able to do with relative ease – whatever skill level of DIY you consider yourself to be at. And by changing the drive belt, you should be able to bring the appliance back to its former glory. NB: before carrying out any repair work on a household appliance, for safety reasons it is important to make sure the appliance is disconnected from the mains electricity! 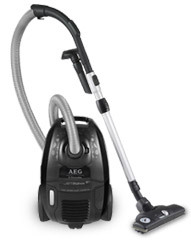 Vacuum cleaner unplugged, turn it upside down so you have clear access to the bottom of the cleaner. This will allow you to remove the housing cover which holds the brush bar in place. With the housing removed, you’ll be able to see the drive belt which should be looped around the agitator brush and motor drive shaft, check for any visible signs of damage. If the belt is not looped around these two parts it’ll have snapped and need replacing. Once you’ve checked the belt and highlighted this is where the fault lies, to remove it from your vacuum cleaner you’ll need to release the ends of the agitator from the appliance. This will allow the agitator brush to be removed followed by the drive belt. After removing the agitator brush and the old belt from your vacuum cleaner, add the new drive belt by sliding it onto the drive shaft to begin with and then stretch it onto the vacuum cleaner agitator brush. With the belt secure reattach the agitator brush back to the appliance, followed by the housing cover which holds the brush in place. There you have it, a straightforward way to replace the drive belt brush on your vacuum cleaner. It’s worth noting the method of replacing the drive belt may vary depending on the make and model of your cleaner. The clutch type of your vacuum can also alter how you change the belt, so we’d always recommend checking our advice centre for further guidance. In our next post, we’ll be looking at how to change a cooker hinge.